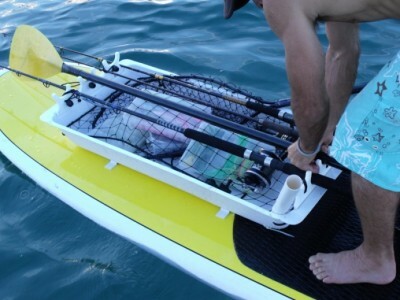 Do you think Stand Up Paddle Fishing is on the rise? We sure do! If you are willing to take up the challenge and surf Montana’s rivers while slaying the fish, well there is plenty of gear innovations aiding you in your endeavor. The diversity of paddle boards is what we think is essential to its continuing success. Yoga? yup! Surf? yup! Relax? yup! Intense core workout? I think so! Montana Fishing? Absolutely! So we know it is possible, but now is the time companies are making it more efficient and easier to do so. Montanans are crafty and have been strapping on milk crates and coming up with other ways to strap gear on. 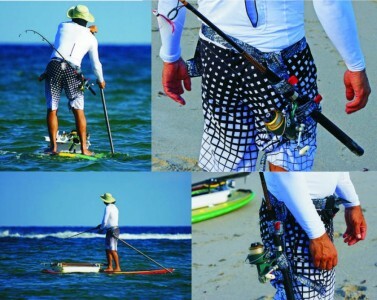 Well, stand up paddle board fishing accessories are out there and is most likely the next purchase any Montana SUP anglers should consider. basket to latch on to front of board. rod holders while you need to paddle. convenient spot to put paddle when you want to fish. rod holder allowing you to troll off to the side while fishing. Ready to Purchase a Board? Talk to the folks at your local Bob Ward & Sons Sporting Goods Store, they have an award winning inflatable SUP for easy traveling and hiking! CLICK HERE to check out the review on this product. They have everything from leash straps, paddles and Thule Carriers.